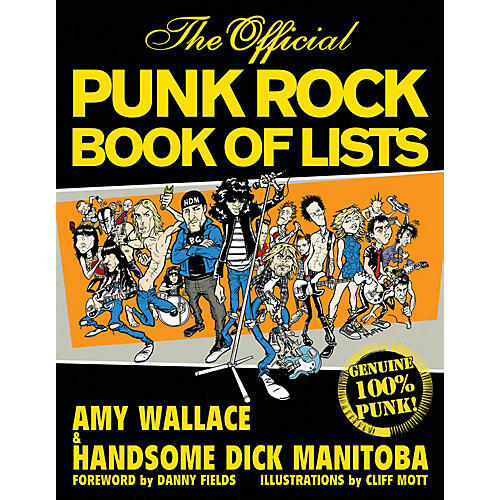 The Official Punk Rock Book of Lists features over 200 of the funniest, craziest lists - from the Most Offensive Songs to Stupidest Band Names, from Punk Sell-Outs to Fashion Don'ts - culled from historical archives and generated by celebrity guests. Contributors include rock stars and punk luminaries, from members of Guns N' Roses and the Ramones to Little Steven Van Zandt, Nick Tosches, Lenny Kaye, Debbie Harry, and every other big-name punk from the last 30 years of rock history. Wicked caricatures, by noted underground artist Cliff Mott, of punk rock stars are peppered generously throughout the book, which is already being hyped as the most fun music book of all time.